The avid reader amongst you will have noticed a delay in monthly reports of late. There are two very worthy reasons for this. The first is the extraordinary busy schedules of the breeding season and the release project. The second is the sensitivity surrounding both those areas. However, I am now pleased to be able to report on the highs and the lows of April and it was well worth the wait! A decision was made at the start of the season to hand-rear the first clutch of eggs from each pair and try double clutching. The parents would then be allowed to rear the second batch. 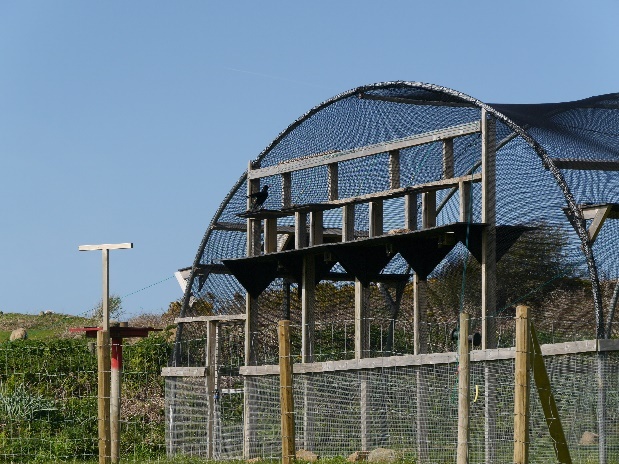 Hopefully we would increase productivity and have a mixture of hand-reared and parent-reared chicks to release into Jersey. Each group would share their knowledge with the other, thus avoiding imprinting in the hand-reareds and making the parent-reareds more willing to co-operate with training. The first chough egg of the season was laid on 6th April. 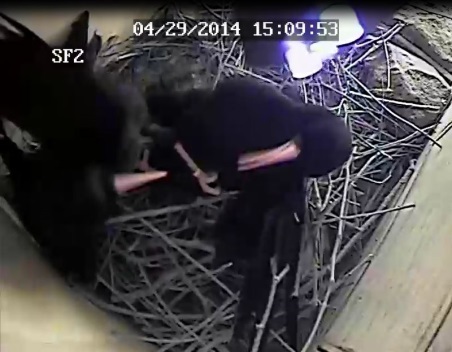 Nest-cameras had been setup in all three breeding aviaries so keepers could closely monitor progress. And boy did it pay off! Down in Shep’s Field we had Gwinny with her inexperienced male (Mauve) in SF3 aviary and Tristan with our inexperienced female, Black, in SF2 aviary. Despite Gwinny being the first female to start nest building she was the last to lay. In fact she did so only after the others had already laid their clutches. 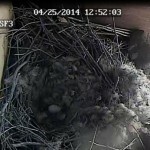 On the 25th keepers noticed that there was an egg in her nest and a second on the 26th. Then suddenly nothing! Searching back through the recorded footage an interesting relationship unfolded. Bearing in mind these two birds did not choose each other as the other pairs did it was quite warming to observe the male feed Gwinny in the nest. Closer observations, however, showed a very inquisitive, slightly confused, male. With an egg in the nest, the male would often stand on the edge of the nest peering at it. Gwinny would come back, chatter at him and display until he left the nest. On the morning of the 26th the male edged further into the undefended nest, moved a few twigs, and then carefully removed an egg. He repeated the behaviour an hour later leaving behind an empty nest and a very disheartened female. In SF2 things were looking more promising. 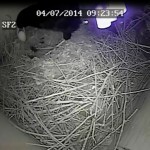 A nest had been built and an egg was laid on the 6th around 23.00. The video showed an exhausted female panting and pushing out the egg, resting in the nest until dawn and then leaving to find food. 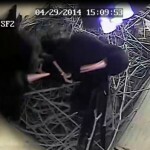 When she returned three hours later she looked in the nest and spotted the egg. Having never seen an egg before, and maybe not realising that is what she had been pushing out (? ), she decided it shouldn’t be in her nest and carefully removed it. A decision by staff was made to swap the next egg she laid for a dummy egg and artificially incubate the next egg. 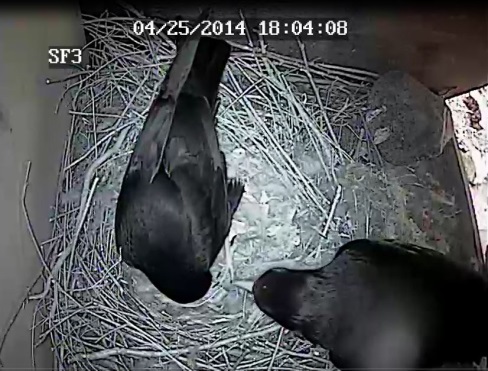 For some reason the male took offense to the dummy egg and removed it in the evening. In total the female laid five eggs, but with one already destroyed, only four were taken to Durrell’s Bird Department for artificial incubation. Black was only left with the dummy eggs for a couple of days after the last egg was laid. They were removed by keepers to encourage the pair to double-clutch. They did! On the 26th Black laid an egg in the morning, but once again destroyed it by the evening. 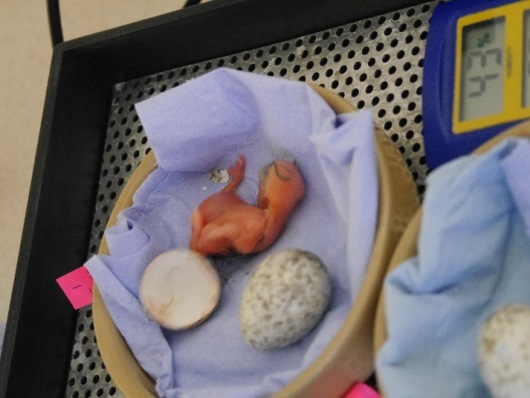 A second egg appeared on the 29th and was taken for artificial incubation. Egg-laying stopped. 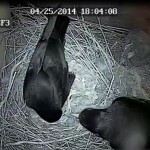 Without looking back through the footage keepers would never have known that on at least two occasions in the nest-box the pair had been physically fighting. This implies that despite choosing each other as mates there is something amiss. It might just be her inexperience and a second season may be needed before the pair can become harmonious. The third pair, both established breeders, housed in the display aviary starting laying on 6th April as well. The camera in here is linked straight to a monitor and not recorded so information is based on keepers’ periodic observations. This pair followed the plan of laying a clutch of five eggs which could then be exchanged for dummy eggs after a period of parental incubation. From observations it appeared that Issy (female) did not really sit tight on the eggs when it came time (they incubate from third or fourth egg). 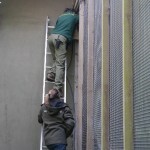 When keepers’ observed from outside of the aviary she would leave the nest every time the public went past. This problem needs to be addressed by next season. 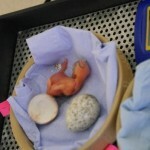 Issy also went on to produce a second set of eggs two weeks after the dummy eggs were taken away. Unfortunately, for some reason she did not take to these eggs. The first was kicked out, the next two were taken for artificial incubation, but she kicked out the dummy eggs. There was an additional problem. Two days after the first egg of the second clutch was laid Arthur (her mate) escaped. He was seen in the morning on the other side of the netting. Presumably he left through one of the holes in the netting. These cannot be fixed by staff without scaffolding or a cherry picker and during the breeding season neither can be used. Arthur paid a visit to the other choughs down in Shep’s Field before flying over the Orang-utan House and out of sight by 10:30. Appeals to the public resulted in a positive sighting at Gorey Castle four days later and then two days later at Les Platons. There have been a handful of reports since but all describing blackbirds or (we think) in one case a jay. We have tried to follow up as many as possible. In reality it will be very hard to recapture Arthur unless he is weak or injured. If he is located and remains in that area it might be possible to supplementarily feed him and later, if the situation allows, trap him. 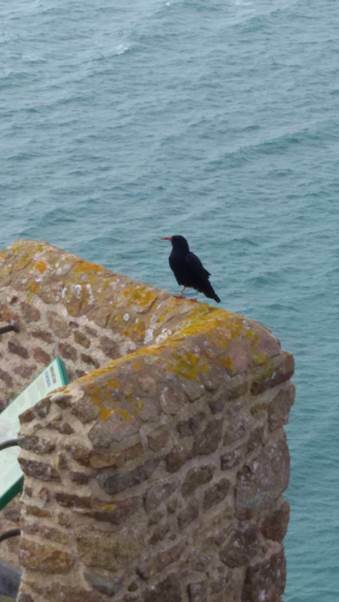 For now we have to hope that Arthur has the means to survive and may well be the first breeding chough to live in Jersey. In 2012 Durrell attempted to incubate two eggs from an abandoned nest. These unfortunately failed early on. So you can imagine how nervous keepers were this time round with nine eggs to incubate followed by another three from the second clutches. 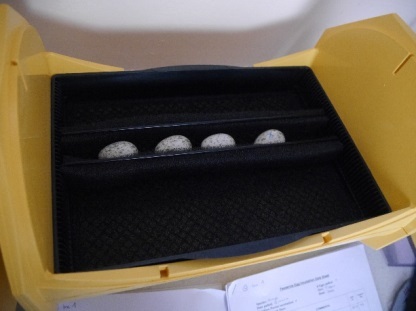 With advice from Paradise Park, who have achieved success in the past, and using our existing knowledge with other species we managed to hatch five eggs. A lot has been learnt from the experience and will be used next season to increase this success rate. 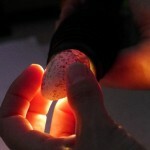 All eggs were weighed and candled on a daily basis to monitor development. Egg weight-loss graphs were plotted so incubation parameters could be altered in accordance to development. 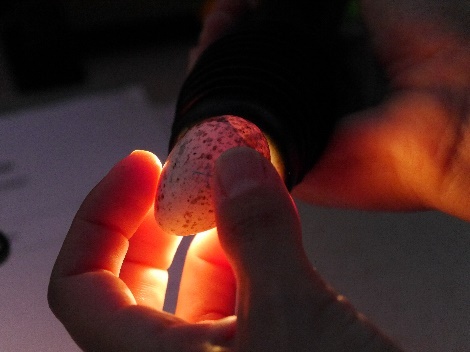 Eggs such as these are expected to lose 15% of their original weight by the time of hatch. Our eggs all appeared too wet and were not losing enough weight so humidity was reduced dramatically. For some eggs it was too late or made no difference. Some embryos died early on, two eggs reached the chipping stage but died before hatching. One chick hatched but had developed an abnormality with its yolk-sac which led very swiftly to death. Post mortems were carried out on eggs and chick to try and underpin the cause(s). No evidence of bacterial infections was found. Most signs pointed to failings with the environmental conditions in the egg. For those eggs that were successful in hatching there will be more to read in May’s report. Not simply to keep you hanging on bated breath, but because the first egg only hatched on 30th April. 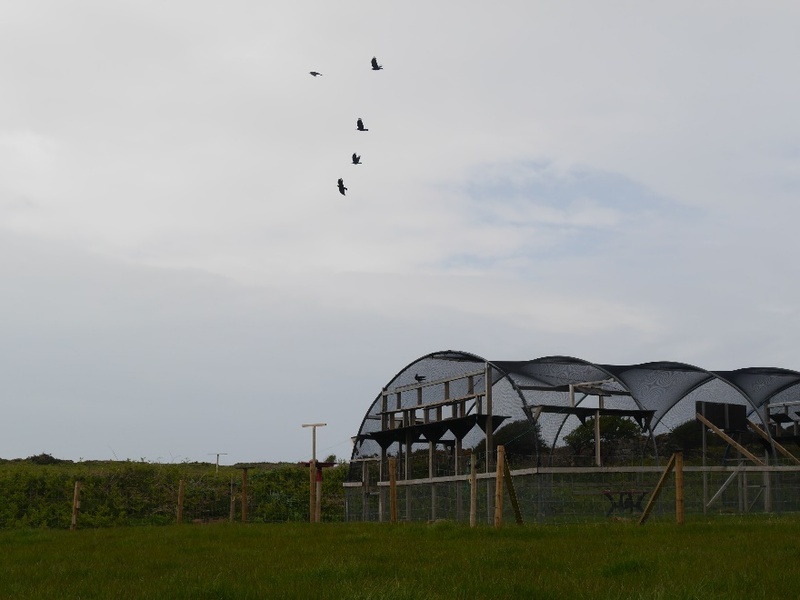 The choughs at Sorel have spent the last few months riding out the winter gales in the aviary. All hatches firmly battened down. With conditions favourable and all health checks passed it was time to restart the releases. 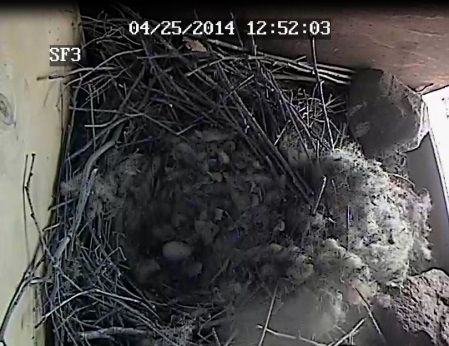 On 9th April the hatches were opened and the birds allowed to fly free. The intention was to give them thirty minutes of playtime before calling them back in for food. What happened in those thirty minutes was exhilarating, poetic, and simply nerve-wracking for both chough and their team. 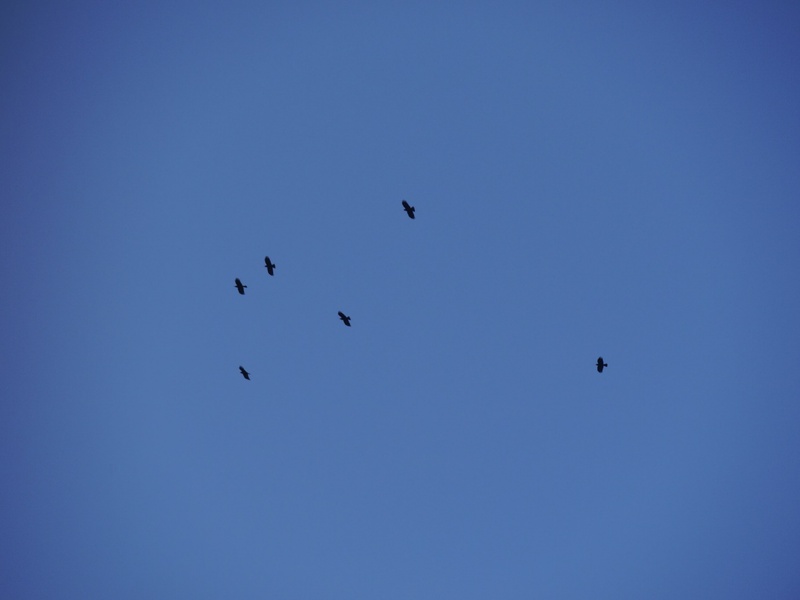 The group of eight choughs took to the air, rising higher and higher, swooping left, swooping right. Sometimes in a 3, 3, 2 formation, at others a 2, 2, 4, and 5, 1, 2. 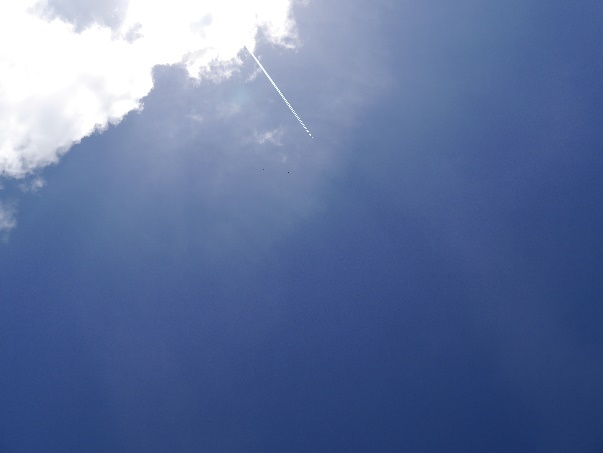 It was like watching a red arrows display only without the trailing smoke (in discussion for next year’s releases). All the time they stayed around the neighbouring fields, never really crossing over Mourier Valley, never out of sight to the east and only two or three fields inland. Bearing in mind at the height they were reaching they would be able to see Jersey in its entirety. As the stop-clock ticked down and their keeper was about to call them back for dinner, the inevitable happened. They headed for the quarry. Interestingly when the keeper blew the whistle one bird, Red, headed back to the aviary. She did the same thing last year after her original mate died in the quarry. She has the desire to explore, but maybe it is overcome by her knowledge of easy food and protection at the aviary. We had thought she would stick with her new partner, Yellow, the older male who arrived in December. With hindsight and all the ingredients of your favourite soap opera we should have realised otherwise. Whilst in the aviary Yellow had been seen courting Red and they would often feed and roost together. As hormones kicked in for the breeding season Yellow started making advances on Mauve. Mauve’s partner, Green, naturally objected to this and on a few occasions the team had witnessed fights between the two males. Red, whilst still keen on Yellow, was starting to get the cold shoulder. It is hard to tell who is who when they are flying high above your heads, but we know that Yellow parted ways after the thirty-minute mark on the first day of release. When the others flew to the quarry, Yellow headed inland. Rather naively we thought he was heading the long way round to the quarry, but after a relatively short time of radio tracking to account for the other six birds we had lost his signal completely. Not only had he ditched Red but the entire group. We expected from previous behaviour that the two older males would not want to hang out together given the choice, but we didn’t expect a new arrival to leave the entire group. 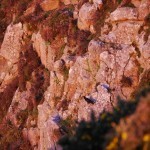 To further add to the confusion only five choughs were visible in the quarry yet six signals were being picked up. After many questions, equipment testing, and stroking of chins it became clear that the sixth signal was not a true signal. Instead it was a combination of electrical interference (e.g. electric fences surrounding horse paddocks) and picking up the tail-end of another bird’s frequency. Much like when you tune in a transistor radio and can hear two stations competing. This missing bird was Cerise a 2013 female brought to Jersey in December. We think she might have followed Yellow. 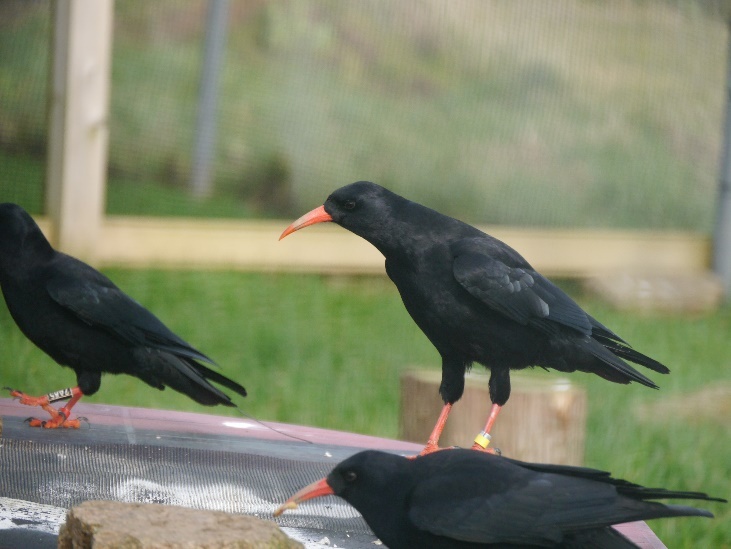 By the end of the first day there was one chough in the aviary, five roosting in the quarry, and two missing. It is worth noting that the birds in the quarry visited the exact same sites as they did last year and did not deviate. 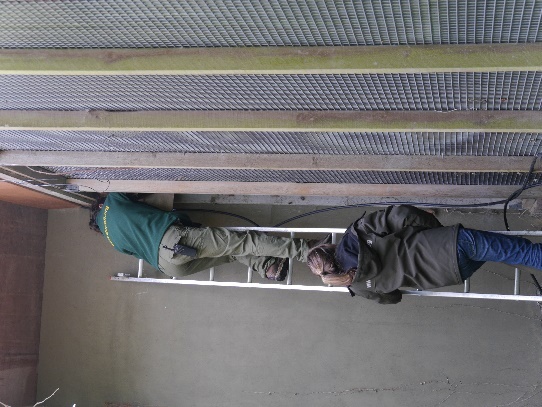 They returned to the aviary over the course of the next two days and were locked back inside as they arrived. Releases were put on hold until we had a better idea of where the missing birds were. The new students Pierre and Adam were put to the test straight away. 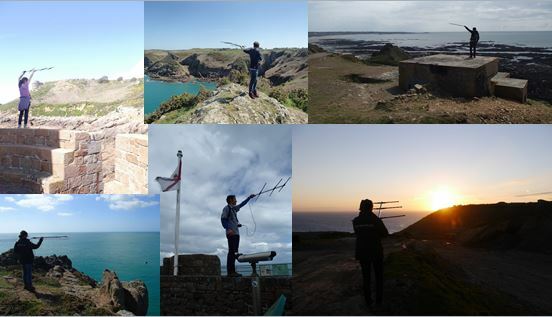 The team covered many miles on foot and even more by car in an attempt to radio search the island in a short a time as possible. 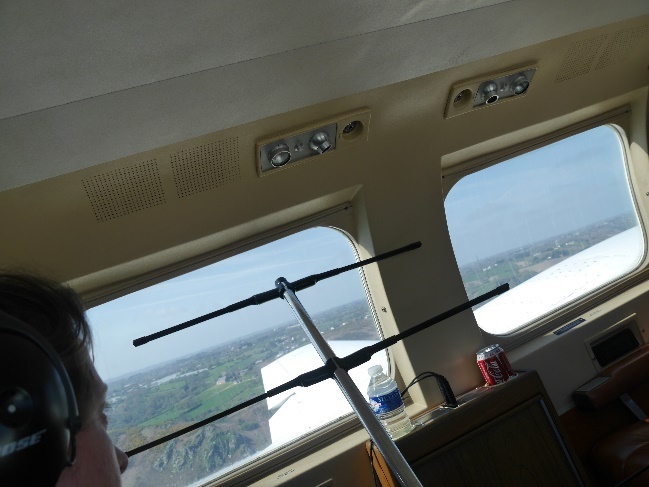 After two days of hearing nothing but white noise it was an tremendous feeling to be able to hear the beep beep of a transmitter signal once again. It was Yellow’s signal, detected at Noirmont Point but coming from the St Aubin side. This is an area 9.5km south of the release site. 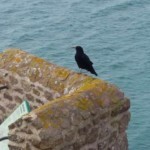 In fact it is quite close to the last reported breeding site for choughs back at the start of the 20th Century. 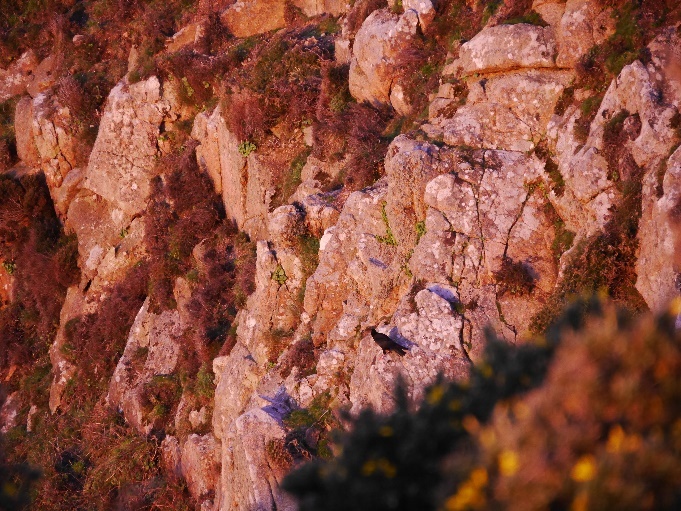 The cliffs to the west of the point seem favourable for a roosting chough and Noirmont has a large area of suitable feeding ground. However, these days it is a popular tourist and recreational area so disturbance is frequent. What didn’t quite fit was the exact location of the transmitter; low sandy cliffs and a forested area above them. Visual searches were hampered by the tides and when access was finally gained the signal had disappeared. No sight or sound of Yellow has been detected since. Nothing at all has been heard from Cerise. Within the first few days of their disappearance two other search methods were adopted based on previous studies. Lee Durrell kindly allowed the use of her plane piloted by Colin Stevenson. Whilst the choughs in the aviary could be detected from the air no other signals were picked up. This method has its flaws. It is very dependent on the bird being out in the open. It is also easy to miss something as you can’t tell the pilot to “stop, back up, I think I heard something”. A search from the sea was also attempted. Peter Haworth of New Era Vets loaned his boat and services to search the north coast. 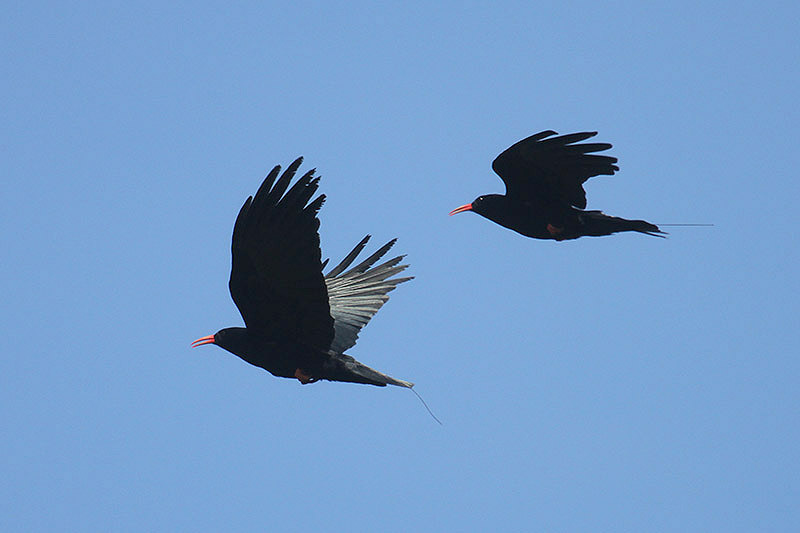 Signals from the Sorel choughs could be detected, but no others. Time constraints meant that further boat searches have not been attempted. 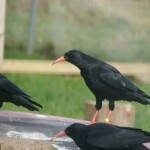 The releases of the six remaining choughs continued on 15th April. At first the birds were behaving as individuals. The pair Green and Mauve would fly off to the quarry in search of the buildings. The lone females, Black, Blue, and Red would follow but head to the grassy areas in the quarry. They would return to the aviary but often Black and Blue would look to Green and Mauve for guidance as to when to do this. White, the 2013 male brought over in December, did the opposite. His behaviour was typical of a scared bird that wanted to be with other choughs but didn’t want to leave the security if the aviary. His first day of release on the 9th saw him return in the evening to the cliffs by the aviary. He spotted the team but was too anxious to take food and went back to the quarry to roost with the others. He returned the next morning and went straight into the aviary. For the next week or so any time the hatches were opened he would fly to them with the others but never actually leave. He would fly straight back to the other end and call loudly. Almost as if he was shouting “Where are you going? Why can’t we just stay here where the food is? I don’t like wide open spaces. Come back”. Finally he caved-in to the pressure of being left alone each day and joined the group. By this point the other five had started flying and feeding together. 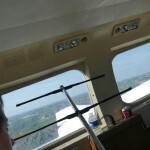 The team found it difficult sticking to their original plan of calling birds back and locking them in as they arrived. For starters this meant waiting around all hours from dawn until dusk. We were also faced with the intelligence of the pair. Whilst they knew that returning to the aviary meant food, it also meant they would be locked in and their freedom to roam the quarry restricted. At the first sign of one of us approaching the aviary they would bolt straight out and off to the quarry. Unless they were desperately hungry or one had been caught and the other wanted to be with it. April was a hectic time for all involved. Yet all signs were positive that the release process was heading in the right direction and choughs were once again flying free in Jersey. Thank you so much for the brilliant update. Have enjoyed seeing them flying freely on more than one occasion. am exhausted just from having read it all……Quarryenders….Well done team though! Quarryenders – it could have been Quarrynation Street! 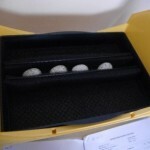 I imagine – and hope – that with experience the birds will be more likely to accept the eggs. I know that starlings express conspecific brood parasitism and have evolved the ability to recognise and reject (physically remove from the nest) suspected parasitic eggs. However, they frequently get it wrong – especially captive-bred birds – either removing non parasitic eggs or removing the whole clutch rather than the one intrusive egg. And it is often the male who does the removing. Also, White-winged choughs (Corcorax melanorhamphos) do go in for a bit of brood parasitism and co-breeding under certain ecological constraints. I don’t know if there is any link between those factors and the egg-rejecting behaviour of the Red-billed choughs – a behavioural pattern that is evolved to guard against parasitism but isn’t being properly expressed – but it is an interesting idea, perhaps. In any case, despite a few ups and downs, on the whole, it seem like a pretty successful release and I look forward to reading more about their progress. Well done everyone concerned! Thanks Austin, some interesting areas for thought there. For anyone wondering why they never get a mention on the site, white-winged choughs are an altogether different prospect. However, despite their name, these unusual birds are only distantly related to ‘our’ choughs. Yes, I should have been clearer on that – the White-winged chough is not even a corvid and comes from Australia but apart from the starling (which isn’t closely related to the Jersey choughs, either!) it was the only other bird I could think of at the time of writing that expressed the behaviour. Sorry if I caused confusion! More than happy to look at what might cause the behaviours that we see. I fancy keeping a few white-wingeds anyway! Well, seems my speculation is not much backed up by the known biology. Can’t find any references to conspecific parasitism in red-billed chough! Occasionally parasitism of choughs by Great Spotted Cuckoo but clearly that wouldn’t have anything to do with these fellows.